I remember when I first started teaching... 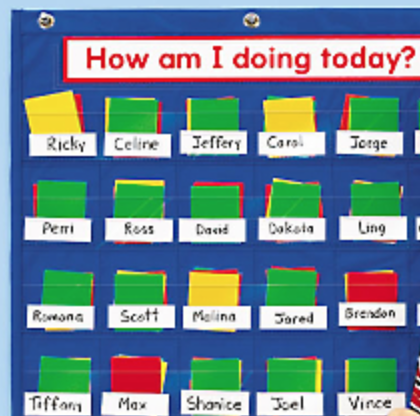 I bought a Behavior Management Pocket Chart (click to view) and used the card system. Students misbehaved and moved colors. I wrote their colors in their agenda and most parents signed. I used this system for about two years... I then started searching online and saw that other teachers were using something called a clip chart. I liked this so much better. The idea is that each student starts on green and has the opportunity to move up or down depending on their choices. I liked this so much better, because I could reward and draw attention to the students making good choices. I made my own and loved it! Click here to download a Free Behavior Chart :). Then one day I came across something called Class Dojo. I tried it one year when it was fairly new and still had many bugs and issues. It seemed like more of a hassle than a help, so I decided to stick to my clip chart. I sadly forgot about Class Dojo until this year! One of my fellow teacher friends brought up the topic and my first thought was 'I bet they have worked out all the bugs!'. I set up a class and have been using it ever since. 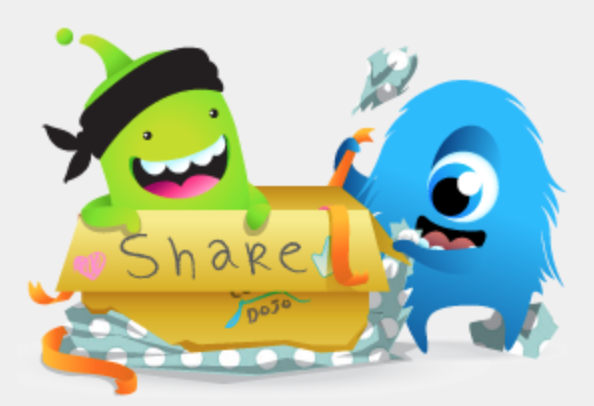 I'd like to take the time to give a little overview on how I use Class Dojo in my classroom. One of the first things I do when I enter my classroom is check that the AC is on (i'm in a portable), change the date, log in my laptop & desktop, turn on the projector, and now RESET the ClassDojo points on my iPad :) This is much easier than writing down the colors and putting all the clips back on green. After reseting the points, I take attendance on the ClassDojo app - this takes a matter of seconds. Now that it is ready, I am ready to give/take away points. Below is what my choices look like. I decided to keep them very, very simple. I only have 2 choices for positive - Morning work (if students complete work and read when done) and Staying on Task (anything else that is positive). You can add as many as you want, but I find that having less choices was easier for me. I have 3 choices for negative - No homework, this is added when I do random homework checks, Off Task, and Talking out of turn. If there is something else that requires more detail, I can send a private message to a parent. I find that students LOVE ClassDojo. There are two different sounds - a positive sound when I give a point and a negative sound when I take a point away. I give/take away points using my iPad, so students can hear the sounds. I don't always tell them who received a point, but they all straighten up hoping they are next. I never point out who I take a point away from, but they pretty much know who they are since they are not on task or talking out of turn. One great feature of ClassDojo is that you can send messages to every parent at the same time, or you can send private individual messages. On Fridays, I use the reports to decide who goes to Treasure Box first. I usually have a couple of larger items and let the students with the top points pick first. I don't always do treasure box - sometimes popsicles or a fun activity at the end of the day is their reward, but having this feature available is very convenient. Do you use ClassDojo in your classroom? If so, please share any information that you have found helpful! If you would like to learn more - Click here to visit the website!